LACKAWANNA – March 20, 2018 – “Everybody can make a difference,” said Brittany Shepard, a Behavioral Health Specialist at Baker-Victory Services and the Treasurer of AFSCME Local 2786. She knows about having a positive impact, because every day, Brittany and her colleagues at Baker-Victory make a difference in the lives of children and families in need. 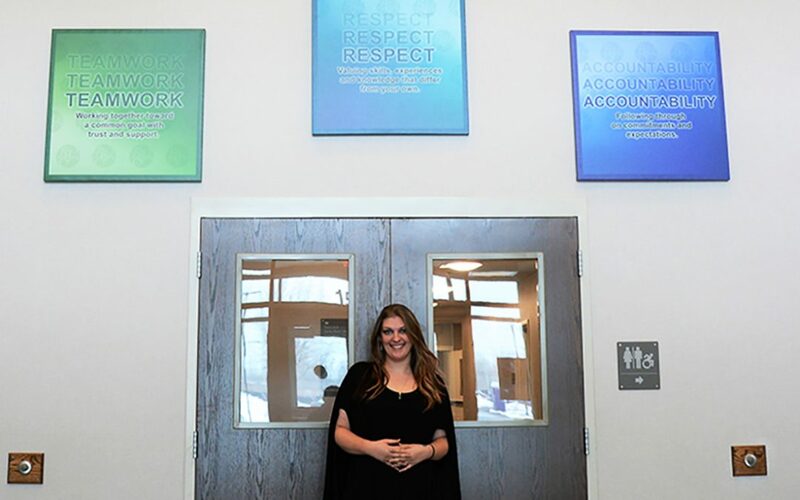 Shepard, 30, works with a wide variety of clients, but most of her time at work is spent helping kids and adolescents with emotional and behavioral difficulties. On the job, she leads stress walks, activities of daily living (ADLs), school work, quiet time, recreation, and other group activities. She’s looking forward to the warm weather: “I like to get the kids active with sports and doing things outside.” Brittany said her clients especially love going to a nearby animal shelter to play with the kittens. By staying active in her union, Ms. Shepard helps her co-workers too. She takes the lead in welcoming new members to the Union at employee orientations, and has helped create a mentorship program where experienced workers foster professional growth among their newer coworkers. “I want people to have somebody they can reach out to if they need help… I like to get my new colleagues involved in the Union right away,” Shepard said about her role in keeping union members active and involved. “The Union is a team, and we’re here to support each other at work.” She keeps close track of her colleagues’ concerns on the job. Brittany has encouraged her colleagues to become politically active like she is. And she’s helped keep her coworkers informed by putting up fliers, sending out regular email updates, and staying active on social media. Brittany Shepard is a working class hero who encourages all of us to play our part to build a stronger union. Got a Working Class Hero you’d like to tell us about? Contact Aaron Gallant, Council 66 Communications Director, at 585-594-0753 or agallant@afscmecouncil66.org.